Stella Mc Cartney is succeeding Marc Jacobs as the new patron of Designer for Tomorrow - a competition for emerging designers based in Germany. 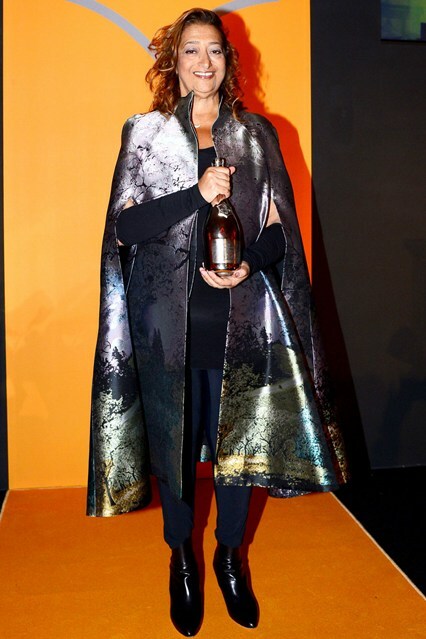 "It's hard to believe, but it's still difficult for women to break the business barrier," said, Zaha Hadid, at the ceremony when she received the 2013 Veuve Clicquot Business Woman Award—an award labeled as a form of recognition to the most successful entrepreneurial women that pays honor to their achievements. Viktor & Rolf will make their comeback to the Paris haute couture schedule in July, after 13 years of break. John Galliano will reportedly teach a masterclass series at New York fashion college Parsons The New School for Design. Following these news, a petition was launched anonymously on change.org protesting against Galliano teaching. "It doesn't matter if it's for three months or three days, hiring someone who has made such horrific comments shows that the school values Galliano over their entire Jewish student body," reads the petition. "It shows they value him over their students' respect, peace of mind, and heritage. It is disgraceful to hire someone who has made such inhumane comments." Kering (previously known as PPR) has acquired a majority stake in jewellery brand Pomellato. Net-a-Porter boosts his owner, Richemont, annual sales profit by 30%. Founder Natalie Massenet who sold her 18% stake at Net-a-Porter to luxury conglomerate Richemont. Reed Krakoff will step down from his role as Coach's president and executive creative director in June 2014, after leading the design team for 16 years. This was settled in friendly terms. David Beckham shared his opinion about his 10-year-old son Romeo’s Burberry billboards, he said, "Romeo might be on the billboards and be the Burberry model, but he's also one of those little boys who loves going home and playing on PlayStation or going over to the park and having a kick around," he said. "[My children] are very grounded, they do normal things - as normal as they can, obviously, given our situation." How to wear neon make up for darker skins, read this here. The Vogue festival over the weekend in London, check it out here.